Cyanogenmod is a customized aftermarket firmware that is distributed for several android devices. This firmware is customized to increase the reliability and performance over android Android-based ROMs released by carriers such as Google, HTC, T-mobile, etc. On our previous post, we discussed about the best ways to root Nexus 5 and Nexus 7 under android L preview. Today's stroll, I would brief you guys on how to Install Cyanogenmod 11S on Nexus 5. NB: Before you continue with the below procedure, please endeavour to backup your datas in other to avoid lost of vital datas, and also unlock the bootloader of your nexus 5 smartphone. 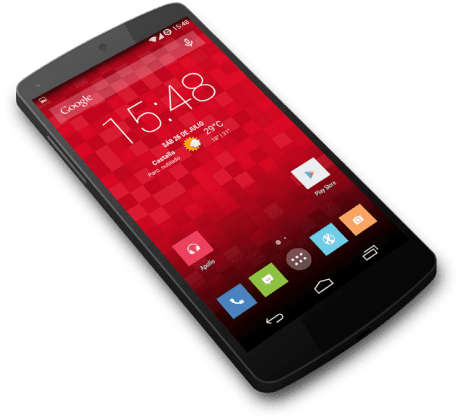 • After you've downloaded the cyanogenmod 11S v1.2 on your computer, then connect your Nexus 5 device to your computer and move the downloaded zip file to the SD Card of your Nexus device. • Then Switch off your phone and boot your device to recovery mode. • After that, move to the install option and intsall the downloaded zip folder that you moved to your SD card. You are done. Your Nexus 5 Device would then be running on Cyanogenmod 11S. You can now enjoy the reliability and performance of the firmware. If you encounter any problem durning the installation, please don't hesitate to let us know and the issue would be tackled at once. If you've any difficulty with your android device, you can visit our resolution center for fixes. Don't forget to share this to your friends on social networks through the help of the share buttons below.